I’m a Novice Hunter and I look for experienced hunters who are willing to offer tips and advice to beginner hunters. We cover all things hunting including gear, scouting, training, hunting techniques and hunting stories to encourage novice hunters to get after it. 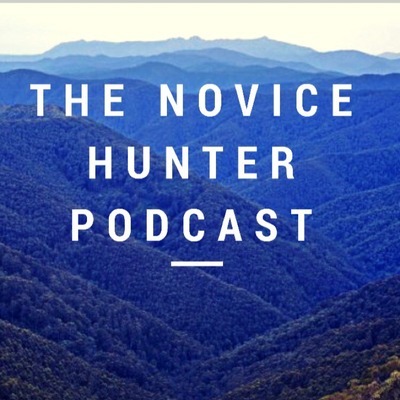 Follow my hunting adventures @the_novice_hunter_podcast on Instagram. GEAR EPISODE! Reggie Gillins of Southern Utah explains why using a rangefinder can hinder or delay a bowhunter when taking a shot. If you’re at full draw and you can’t remember the range, you have to pull out the rangefinder again to get the right distance. To avoid a re-range and re-draw, Reggie invented the Rangeviewer. He goes into detail about how the human eye gauges distance naturally and how the Rangeviewer helps harness that ability into ranging an animal. Check out rangeviewer.myshopify.com/ for more information. In this episode, Fisher Neal joins Aaron and I to discuss his outfitting business that specializes in teaching new hunters. We discuss why he started this business, the hunts he provides and the lessons he offers. We also talk about the available areas to hunt in New Jersey. Check out learntohuntnyc.com for more information. In this episode, I talk with Sammi Johnson and Shyanne Franklin who are from the fitness industry and we talk about their cow elk hunt in western Idaho. Sammi is a new hunter and Shyanne is her friend and mentor for the hunt. This hunt has been in the works for a long time and it could not have come together any better. We discuss their struggles during the hunt, the importance of fitness, and how values mentors are for first time hunters. The Built2Hunt team set it all up and filmed the hunt. The film will release soon so go follow Built2Hunt on Instagram and Facebook for more information. This episode is different. This episode explains why I started this podcast. I want to motivate you to share what you love. If you share what you love, great things will come. 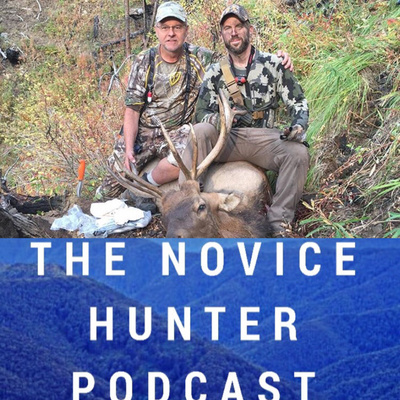 In this episode, Phil Belnap joins me for an interesting conversation about hunting and growing up in northern Mexico. We discuss his hunting background and how he got started. His perspective about hunting has developed into an opportunity to strengthen ties and make memories. He has a fun YouTube channel called Fun with Phil and His Friends. Truth be told, the number of hunters in the United States are declining. Despite all of the social media growth, fewer and fewer people are purchasing hunting licenses and tags each year. The Sportsmen’s Alliance is trying very hard to flip that trend. 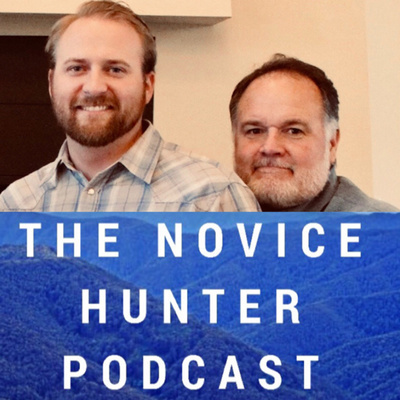 In this episode, I chat with Sean Curran and Evan Heusinkveld of the Sportsmen’s Alliance about its history and mission to recruit new hunters and reactive people into hunting. We discuss some of the challenges that arise for new hunters, mentoring, and supporting new hunters. As a new hunter myself, I have experienced the benefits of learning from a mentor and I hope to reach other hunters who are willing to offer time to mentor a novice hunter. We also talk about the partnership with Built2hunt and how you can help the Sportsmen’s Alliance. If you would like to become a member of the Sportsmen’s Alliance, go to sportsmensalliance.org. Please help spread the mission and participate. We need to flip the trend for the future of hunting. It’s up to us. In this episode Aaron and I recap our archery Elk hunt. This was my first archery hunt and I share the mistakes and successes I experienced. We learned a lot, made new friendships and enjoyed Idaho’s wildness. In this episode, Jeff Moran joins the podcast to discuss his new online hunting community, built2hunt.com. We talk about how the fitness and hunting industries are impacting each other in positive ways. 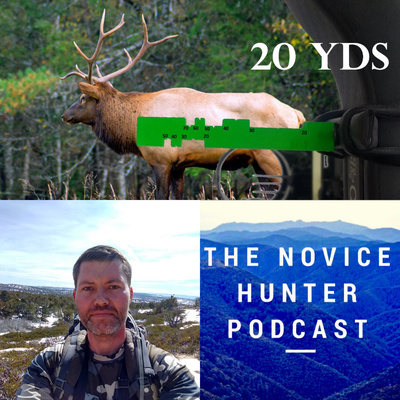 We also talk about backcountry elk hunting and how September evolves during elk season. Follow Jeff on Instagram @relentlesshntr_208 and check out built2hunt.com. In this episode, Aaron and I talk about Grizzlies. We discuss a little bit about their conservation history and their population in the Greater Yellowstone Ecosystem. We also talk about the new grizzly bear hunt in Idaho and Wyoming. Remember to downlod the Anchor App and call into our station. We want to hear your opinions, questions and comments. In this episode, Aaron Dixon and I talk about the legal requirements for hunting in Idaho. We also talk about how we are preparing for the upcoming season, regulation updates, and the need to stay informed. 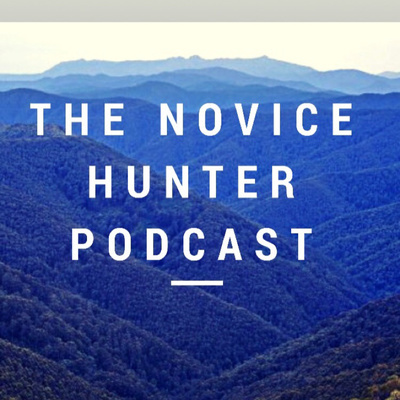 In this episode, we welcome Steven Brown to the Novice Hunter Podcast. We talk about his backgorund in hunting, his connection to the hunting industry, and his upcoming hunting plans for this season. Steven is a down to earth guy who is willing to help any novice hunter. In this episode, Aaron Dixon and I talk with Cameron Munger. Cameron is a PhD student in New Mexico and we discuss his research studies, his unique hunting background, how we can share the benefits of hunting through conservation efforts. In this episode, Aaron Dixon and I interview Michael Merrill of Utah. Michael is stand up guy. He has been hunting his whole life and he has taken physical training to the next level. He shares his fitness journey and how why he trains so hard for hunting season. In this episode, Aaron Dixon and I talk with Jeff Barlow of Price, Utah. 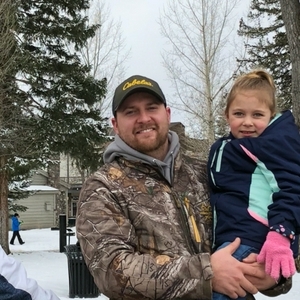 Jeff is a life long hunter and is passing his love of hunting and the outdoors to his children. We discuss his hunting company, Nimrod Outdoors, and how he is sharing his passion through social media. We also discuss scouting basics and tips. In this episode, Dave Garber of Harrisburg, PA offers some expert advice on archery. He is part of the Pro Staff at 717 Armory. We discuss different hunting options in PA and mechanical broadheads vs fixed blades. In this episode, I talk with professional snowboarder Scotty Lago. Scotty is an Olympic bronze medalist, 4-time X-Games medalist and avid hunter. We talk about wolves, turkey hunting, elk hunting, Lago Snowboards and archery. In this episode, Aaron and I talk with Braxton, an experienced hunter from southern Utah. We talk about drawing tags, turkeys, and archery. In this episode, I talk with one of my coworkers Aaron Dixon. We discuss bowhunting and how to train for the upcoming season. We also talk about conservation efforts. In the first episode, I talk with Brady Ritchie about Bowhunting. He provides useful tips to help you get ready for elk season.